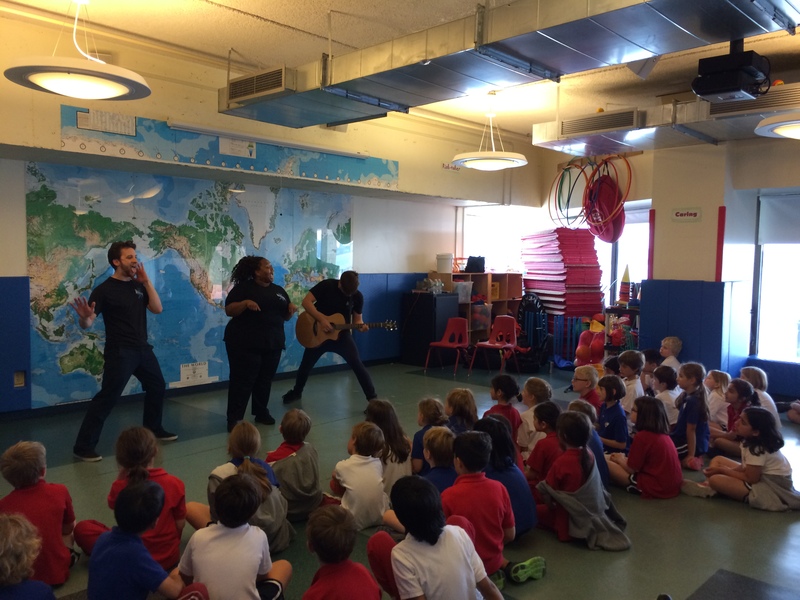 EIGHT IS NEVER ENOUGH cast members Patrick Reidy, Amelia Fowler and Andrew Del Vecchio rocked out some shows and workshops at the British International School along the East River in Manhattan this morning. 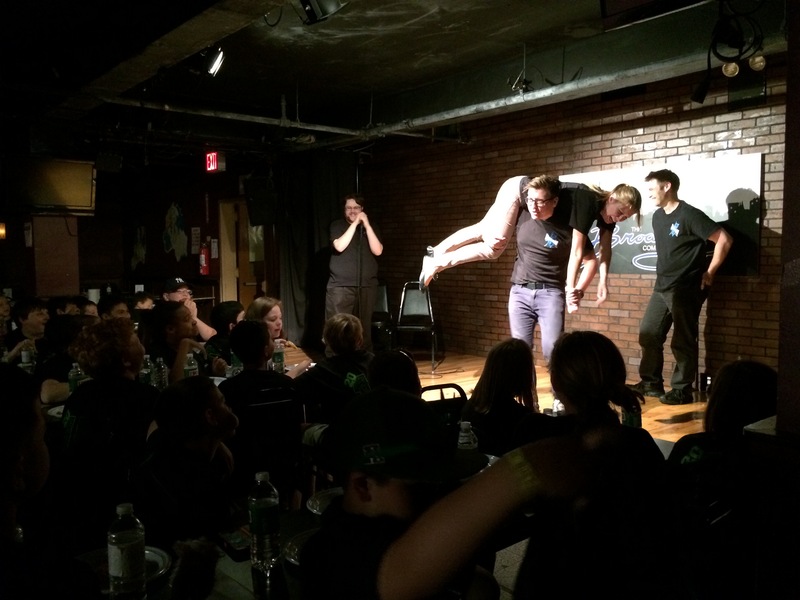 Then they rushed back to the Broadway Comedy Club to hosts a group of 85+ teens from Boston (via CD Trips) for a pizza Party and Improv Show. In the past year alone the troupe has performed over 600 shows for K-12 audiences nationwide as well as 1000s of workshops, using Improv Comedy to inspire cultural arts, language arts and character building. During the workshops students play games of warm-up, develop technique and perform for each other little to no experience. After an interactive show the students are always ready to play. Having so much fun the are unaware of the numerous fringe benefits – Creativity (Writing and Thinking), Community (Team, Respect, Listening, Focus) and Leadership (Public Speaking, Self Respect, Self confidence).